Fantastic curb appeal, impeccable maintenance & elegant decor! 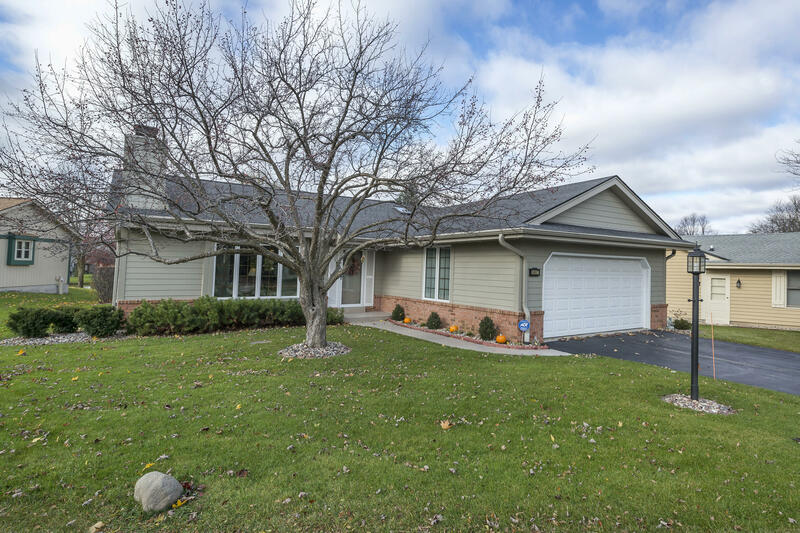 Don't miss this highly sought after 2 BR, 3 BA stand alone ranch condo with basement. Quality upgrades include Hardie Plank Siding, vinyl clad windows, soffits & fascia at owner's expense. Warmly inviting open concept living/dining/kitchen offers GFP, vaulted paneled ceiling, skylight, patio door & kitchen island. Master suite w/mirrored closet & private bath. Second bedroom w/beautiful bay window. Main floor laundry. Gorgeous finished lower level perfect for entertaining with bonus of full bath. Tons of storage shelves. Inground sprinkler system & wired for ADT alarm system. Beautiful grounds, private patio plus the refinished garage floor is pristine. Newer furnace & C/A. Home warranty too. Exceptional & rarely offered!